Al-Karam summer lawn dresses 2015 have recently launched. These all dresses are looking simple, stylish and elegant. All of the dresses are looking pretty and attractive. Al-Karam Textiles has launched this collection as a volume 2 for summer. Almost 150+ prints are add in different style. These all dresses are perfect for young and modern girls and women. 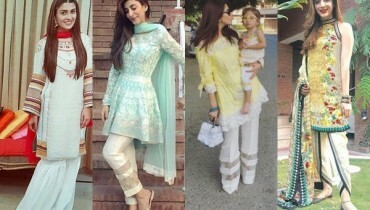 Let’s check out these Al-Karam summer lawn dresses 2015 volume 2 below. Al-Karam Textiles is one in the most leading and demanding fashion textile mill in Pakistan. Al-Karam has been working since very past years ago. Al-Karam Textiles offers seasonal collection in a wide range of prints. Their lawn journey makes women very crazy. Al-Karam Textiles has launched their lawn collection 2015 for summer earlier. After the great response on that collection, they are back with their another seasonal collection. Yes, Al-Karam lawn dresses 2015 volume 2 have been released now. Total 150+ prints are add in this collection and each print is available in two color ways. 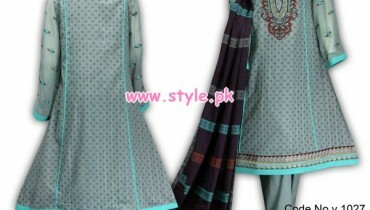 These printed lawn dresses are embellish with embroidery and lace work also. These Al-Karam lawn dresses 2015 volume 2 have designed according to latest fashion trend. These dresses are perfect for casual wear and every age group of women can wear them in casual time and evening time also. This is a colorful collection so that you can find bold to vibrant colors such as red, green, blue, pink, brown, orange, ferozi and so many more. So, girls!! if you are anxiety waiting for some new lawn dresses then your wait is over now. The big brand of Pakistan Al-Karam Textiles has revealed their volume 2 for you. 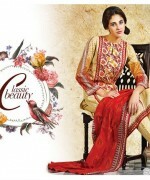 This collection is consisting of two piece and three piece dresses which are available in unstitched pattern.